Earthy. Carefree. Flowy. Do these words describe the favorite pieces in your closet? 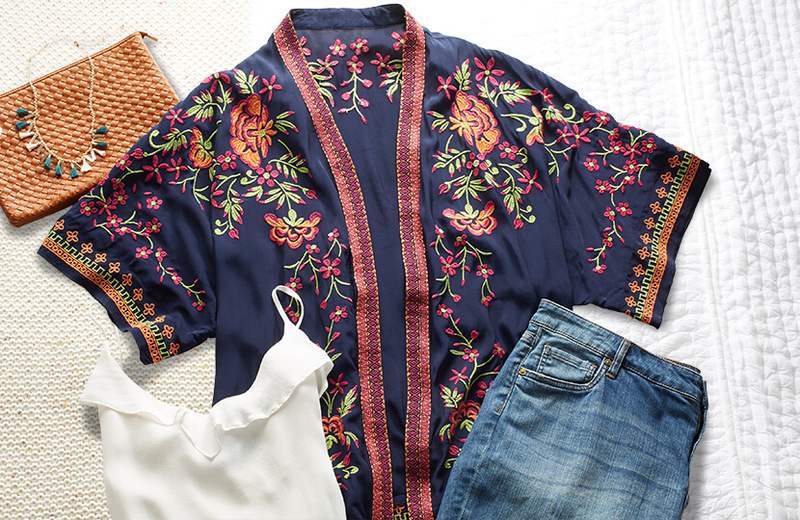 Learn all about easy-breezy style and how you can work with your Dia Stylist to build a wardrobe full of beautiful boho outfits. Defining your personal style isn’t easy, and while you can always turn to friends to ask how they’d define your style, it’s a good idea to do some introspection, see what looks catch your eye, and let your style change as you do. We’re here to break down every category of style so that you can define exactly what you love. You may not fit squarely in one style category, but be a combination of two, three, or more. Do you love prints reflective of nature and drapey silhouettes? Then you might want to consider adding boho as one of your preferences in your style profile. “Boho” is short for “bohemian,” and it’s often used to describe styles that are generally rooted in earth tones and come in flowy silhouettes. 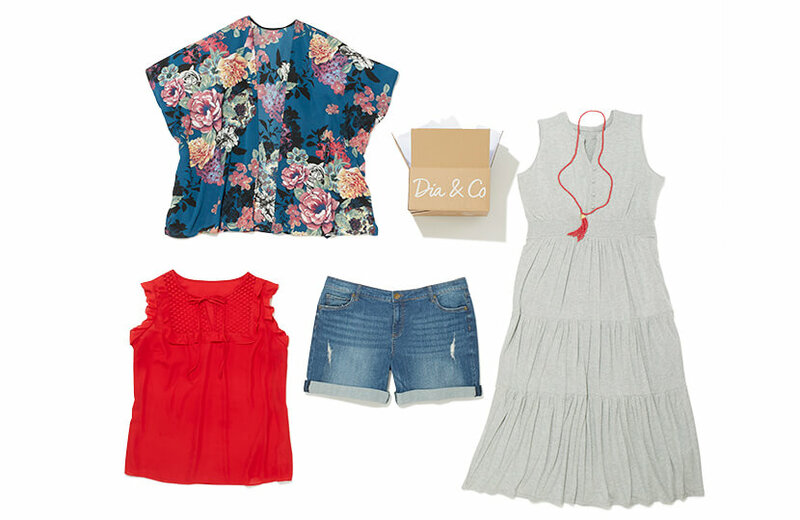 Here’s an example of a Dia Style Box that features boho outfit options. To help you get a feel for what boho style is, here are some good rules of thumb. Your friends call you a hippie or say that you have eclectic style. You prefer clothing that flows away from the body. You love florals and other nature-inspired prints. You look for details like fringe, leather, and lace. When you travel, you like to look for unique handmade souvenirs that you can bring home and wear regularly. Uniqueness is more important to you than polish when it comes to shopping for clothing. Dangly earrings and long necklaces are something you’re constantly shopping for. Your friends say that you’re a sharp dresser. You love structured or tailored clothing—think blazers, pencil skirts, trousers, and clean lines. You prefer geometric prints to floral prints. Printed items are at a minimum in your closet. You think of yourself as a minimalist and that’s reflected in your clothing and accessories. The jewelry you wear is subtle and understated. When you wear colorful clothing, it always contains bold and saturated colors, not muted or earthy ones. Here are some ideas for boho outfits to help you visualize what a wardrobe focused on this style could look like. 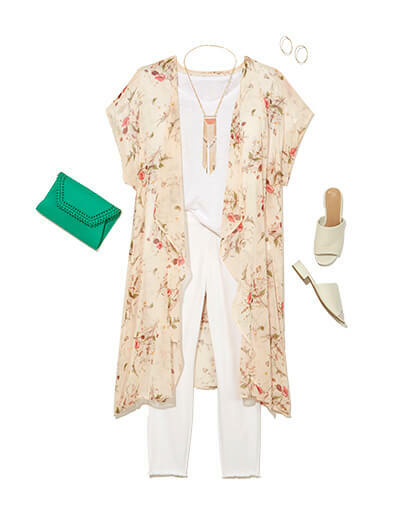 A floral-printed kimono is quintessential boho. Layered over a solid tank and paired with denim shorts, this look is finished to perfection with natural textures. A monochromatic outfit evokes a boho feel with a floral kimono and a fringed pendant necklace layered over white denim. 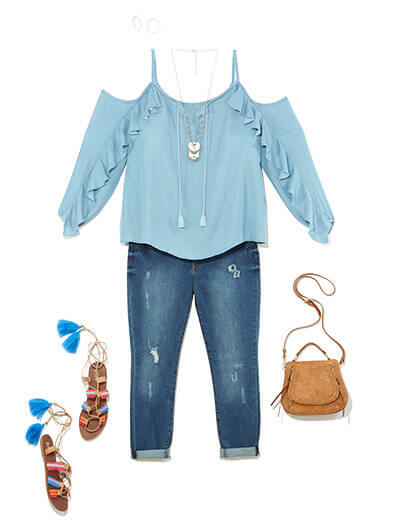 Distressed denim takes a boho approach when paired with a ruffled top, long pendant necklace, braided leather handbag, and colorful leather sandals. 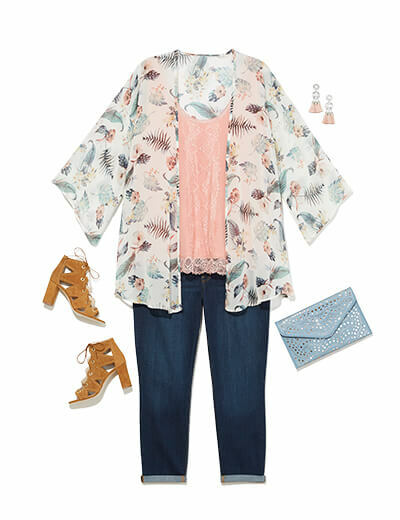 Give your dark wash denim a boho spin with a lace cami, printed kimono, tassel earrings, and suede-heeled sandals. A floral dress becomes even more bohemian with a fringed suede jacket, velour booties, and a wool hat. 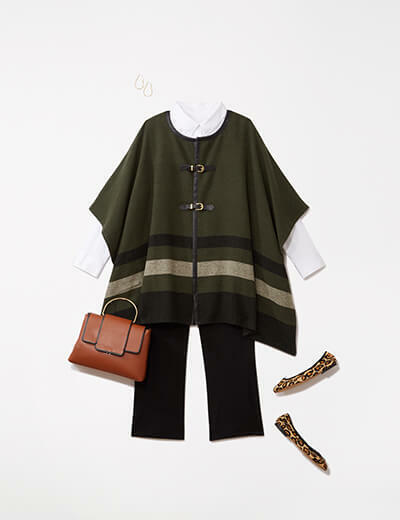 A classic white button-up shirt transforms into a bohemian top when layered under a flowy poncho. Boho gets dressed up with a floral off-the-shoulder jumpsuit, strappy stilettos, and glam accessories. A paisley-printed dress is perfect for a special event when paired with silver accessories. No matter the season or the occasion, you can always incorporate bohemian influences into your plus size clothing wardrobe. Braids in your hair, dangly jewelry, and accessories made from natural textures like leather, straw, and suede are always a great way to channel your inner boho goddess. Interested in trying out some boho outfits? Be sure to update your preferences in your style profile and leave your Dia Stylist a note!